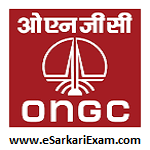 Eligible Candidates can Submit Online Application at the Official Website of ONGC Latest by 20th February 2019. Click on Recruitment Notification of Class III, IV Post for Chennai & Karaikal. Open Online Application for Recruitment of Class III & IV Post for Chennai and Karaikal Link.